In prior articles, this author has detailed the importance of diagnosing a patient’s primary elemental imbalance, also called causative factor (CF), via odor, color, sound, and emotion. Once we have cleared any and all of the energetic blocks to treatment efficacy, in this system of medicine, we turn our attention to supporting, balancing, and harmonizing the CF, as it is the source of the symptoms that invariably spread throughout the entire system and manifest at the levels of body, mind, and spirit. So: when we speak of treating the CF, what do we mean, and how do we begin? Command points are the “bread and butter” of this system of medicine. While any appropriate point can be used for its spiritual connotation based on the need of the patient, some points give virtually all of their energetic gifts to the mental and spiritual levels directly. Examples include KI 24 Spirit Burial Ground, UB 37 (#42 in some texts) Soul Door, HT 1 Utmost Source, GV (Du) 4 Gate of Life, and CV (Ren) 14 Great Deficiency, to name a very few. Command points, located distal to the elbow or knee crease, give energy to all levels: about 70% to the physical, 20% to the mental, and 10% to the spiritual. Thus, if a patient were to come for treatment with a perception of spirit that was 50% diminished from its potential, treatment using only command points would successfully support the spirit in 5 treatments. If we’re not in a hurry and choose a safer route to assist a patient to health, command points are the best choice. Using points for their strong physical, mental, or spiritual connotations, if unnecessary or incorrectly utilized, can create aggravations in the patient—like using a missile when asking nicely would suffice. Command points also give us the clearest feedback as to whether our diagnosis of the elemental CF is accurate. Every needle we insert will have an energetic effect; staying on the CF will not dilute our feedback with input and effect from other points, and we will have confirmation of our diagnosis. Thus, by keeping the first treatments simple and staying on the meridians of the CF, we will, if our diagnosis is correct, get an immediate pulse change on all 12 pulses, as well as a change in the intensity of the patient’s odor, color, sound, and emotion. Determination of the appropriate action is made by pulse diagnosis. If the patient’s pulses are deficient, we tonify. If excessive (and this is relatively rare), we sedate. The needle technique for the action of tonification is as follows: insert to correct depth: left side first, on the patient’s exhalation, the needle angled slightly in the direction of flow of the meridian; turn the needle 180 degrees clockwise; withdraw immediately and press the hole to seal it. Repeat on the right. For sedation, insert on the patient’s inhalation, right side first, needle angled slightly against the direction of flow of the meridian; turn the needle 180 degrees counter-clockwise and retain. Repeat on the left. The needles are left in place until the correct balance on the pulses is achieved. The actions of tonification or sedation can be applied to any points on the body and should not be confused with “tonification points” (discussed in this article) or “sedation points”, both specific categories of points and only used under specific energetic conditions. Every meridian has a source point. It is a command point and can be tonified or sedated, according to pulse findings. Source points affect the entire meridian without drawing or dispersing energy to or from anywhere else. As the vast majority of patients are found to be deficient in energy, our needle technique will mostly be tonification. The energy generated with source points comes from deep within the organ or function (also known as the “official”). They are the safest points on the whole of the body, as one cannot over-tonify or over-sedate these points. They have a built-in safety factor, which will “switch off” when the official has taken or dispersed the correct amount of energy that is needed—no more and no less. Source points are usually the first points considered to treat a patient’s causative factor (CF) meridians. When first treating a patient, we do not know how the patient’s energy will respond—how much or how little treatment is needed, or how strongly we need to treat to effect a change. Stronger or additional points may or may not be needed. Source points help give us that information. If we get a substantial pulse change on all pulses, and/or a significant odor, color, sound, and emotion change from source points alone, we know that we have diagnosed the CF correctly, that the patient’s energy is very responsive, and that gentle treatments (i.e. command points) are appropriate at the time. We generally treat the source points of both meridians within the CF element, giving in equal measure to each. In the case of fire, which has 4 officials within it, we must determine which side of the element is most challenged. It will be either the “organ side” (i.e. heart and small intestine) or the “function side” (i.e. pericardium and triple heater, or sanjiao). Rarely do we treat both sides of fire, as treating the correct side will balance the other side, just as treating the CF element will tend to balance all elements. Source points are excellent as reinforcement of any treatment. They are often used to anchor or ground a treatment in which blocks have been opened, spirit points or any non-command points have been done, or after other command points have been treated and still more reinforcement (determined by pulse change) is needed. We always anchor a treatment with command points on the patient’s CF. After going to a point for a strong spiritual connotation, for example, we need to regain control and command over the energy, lest the patient be left feeling untethered and lost in the “heavenly realms”. Source points, while not the only points to consider, are always a safe choice in these instances. The tonification point of a meridian is the point that corresponds to its “mother”, the preceding element on the sheng or “creative” cycle. We observe that, on this cycle, wood is the mother of fire. It creates, promotes, and fuels fire just as a mother would feed her child. Thus, in the element fire, the tonification point of any of its officials is the wood point (HT 9, SI 3, PC 9, SJ 3), corresponding to its mother element. In earth, the tonification point is the fire point (ST 41, SP 2), and so on around the cycle. These points can only be used as tonification points when, by pulse diagnosis, it is determined that there is more energy in the mother than in the child. There must be, in other terms, more milk in the mother’s breasts than in the child’s tummy. Used as such, tonifying these points affects a simple transfer of energy from the mother to the child—just like putting a hungry baby to the breast of its mother. Often used early in the treatment process, it is one of the simplest, most elegant treatments we can give. Unless the pulses show this state of relative excess in the mother and deficiency in the child, these points cannot be used as tonification points, though they retain other uses, such as providing their elemental gifts to the meridian, for their locations, and for the spiritual connotation associated with their point names. As all of our treatments aim to balance and harmonize the CF, we generally treat the tonification points of both of the CF officials. In the case of the fire element, as mentioned above, we would treat the side of fire that we have diagnosed as the primarily imbalanced side. Typically, if one child is deficient, its brother or sister will likely (but not always) be deficient as well. If this is the case, we give to both paired officials in equal amounts. As the predominantly yin (zang) and yang (fu) Officials follow each other on the sheng cycle. When tonifying HT, for example, we use HT 9 to draw energy from wood, specifically LIV. When tonifying SI, we use SI 3 to draw energy from wood, specifically GB. On the other side of fire, we would use PC 9 to draw from wood, specifically LIV, and SJ 3 to draw from wood, specifically GB. Using the tonification point, when appropriate, will do more than simply balance mother and child, but will be felt by all officials. Like source points, when we use tonification points properly, there will be a change in all pulses, as all officials are connected like members of a family, and also a change in intensity of the patient’s odor, color, sound, and emotion. Sometimes the pulse change will be the more dramatic; sometimes it will be the sensory indicators; it may well be both. If the simple transfer from the mother did not summon sufficient energy (determined by pulse diagnosis), this would be a time to consider reinforcement with the source points. Horary points are command points, and are the point on the meridian that is the same element as the official on which it resides. Thus, the horary point will always be the fire point of a fire meridian (i.e. HT 8, SI 5, PC 8, SJ 6) or the earth point on an earth meridian (i.e. ST 36, SP 3), and so on. Horary points may be used as such only during the peak time of the official concerned. According to the Law of Midday and Midnight, also known as the circadian or “Chinese Clock”, each of the 12 officials has an extra measure of energy to do its job during the two hours allotted to it. For example, the lung official is at its peak between 3 and 5AM, often the time when breathing techniques are practiced in ashrams or monasteries. The stomach official is at its peak between 7 and 9AM, the best time to take in and digest a meal, as evidenced by the ravenous appetites of most babies at those hours. If we are doing a horary treatment of a patient with a CF in earth, we would bring him or her in at approximately 8:30AM. This would allow time to gather information, take pulses, perhaps do a point or points prior to the horaries, and then tonify ST 36 before 9:00AM. At 9:01, we could then tonify SP 3, giving a gift of equal value to both officials, both at their peak times. When we use horary points, we treat only the officials of the CF. In the case of a fire CF, we would treat the horaries of the primarily imbalanced side. Tonifying the horary point of a meridian during its peak time harnesses that extra energy and power, available only at that time. Additionally, it provides a look into the true state of the official concerned. An official may have been desperately “holding on” and presenting a façade. Feeling that help has finally arrived, the official may relax and its pulses may plummet, showing its true state of deficiency. On the other hand, the pulses may spring to life with a horary treatment, showing that there was truly a good amount of energy under the debris. Using horary points is akin to blowing or shaking the ashes off a fire. We need to know if there is fire alive under the ashes—how much or how little. We need to know whether we must rebuild from scratch, or simply add a bit of wood to get the fire blazing. These examples are analogous to determining how much or how little treatment is needed. It gives us information as to what kinds of points will be needed, how many, and what the treatment interval should be. Similarly, in the earth element, we need to know its true state. If the earth is covered over with dead leaves and litter, we cannot know its state. Is it dry and sandy, moist and rich? Is it capable of nourishing seeds? In metal, we need to know the state of the element beneath the layers of accumulated rust and tarnish. What kind of metal is it? In what condition is it? The answers to these questions will be largely determined by the pulse change that horary points provide. Another use of horary points is during the season of the respective official’s element. While not as potent as the use of these points during their peak time of day, the horary point can be used to great effect at any time of the day—during the element’s season. Therefore, we could tonify LU 8 and LI 1 any time during the season of autumn on a metal CF. Were we to treat the horaries during the season and at the appropriate time of day, we would get the strongest horary treatment possible. As in the example, LU 8 would be used any time between 3 and 3:59AM, followed by LI 1 at 4:01AM (and before 7:00AM) in the autumn. Professor Neil R. Gumenick is Founder and Director of The Institute of Classical Five-Element Acupuncture, which offers training in this profound system of body/mind/spirit medicine. He has maintained a private practice in Santa Monica, CA since 1981 and is a Professor at YoSan University and Emperor’s College. Neil holds three degrees and an advanced teaching credential from The College of Traditional Acupuncture (UK) awarded by the late Professor J.R. Worsley. 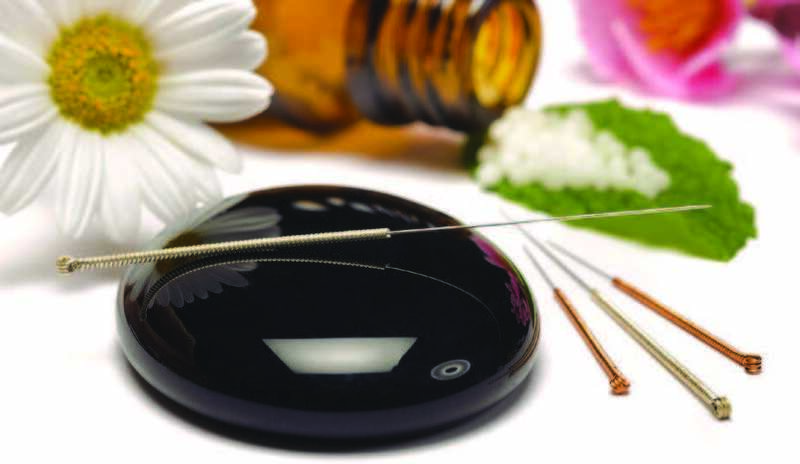 Neil was recipient of the 2007 AAAOM Pioneers and Leaders in Acupuncture and Oriental Medicine Award, and is one of the world’s foremost practitioners, teachers, and writers on the subject of Classical Five-Element Acupuncture. He can be reached at www.5elements.com or at (310) 453-2235. Previous PostPrevious Ask the Herbalist: How Do You Treat Sinus and Respiratory Allergies?